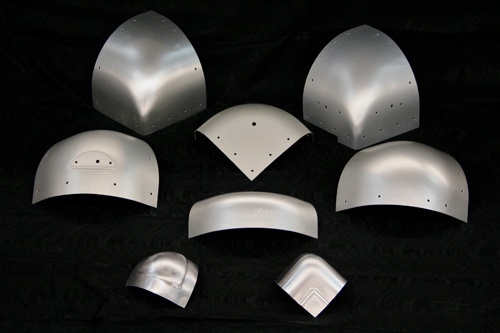 This forming process involves deep draw forming or stamping using a pneumatic drop hammer, commonly known as a Chambersburg Drop Hammer, with a matched male and female drop hammer die set (DHD), to form complex aluminum and steel sheet metal part contours and shapes. 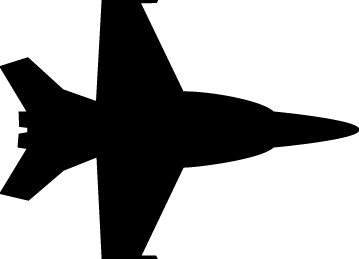 Used primarily to form strong, but light weight, aircraft parts with elaborate shapes to precise aerospace tolerances. 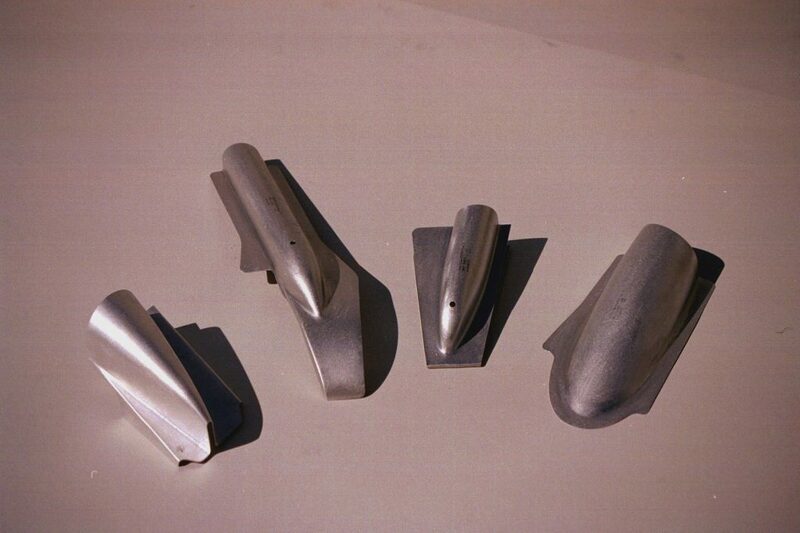 Drop hammer formed parts are also many times chem milled to reduce weight and/or allow clearance for mating parts. Our Chambersburg Drop Hammer bed sizes range from 24″ W x 30″ L to 48″ W x 96″ L. This wide range gives us the capability to form almost size and type of aluminum and steel drop hammer formed part. 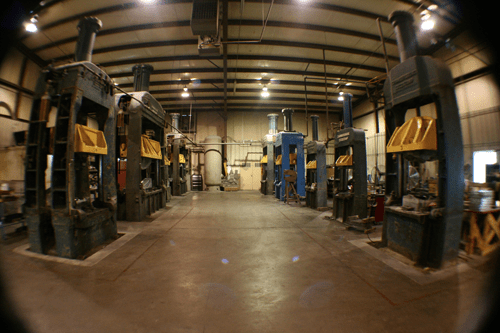 We design and manufacture our drop hammer dies from kirksite castings poured in our foundry. 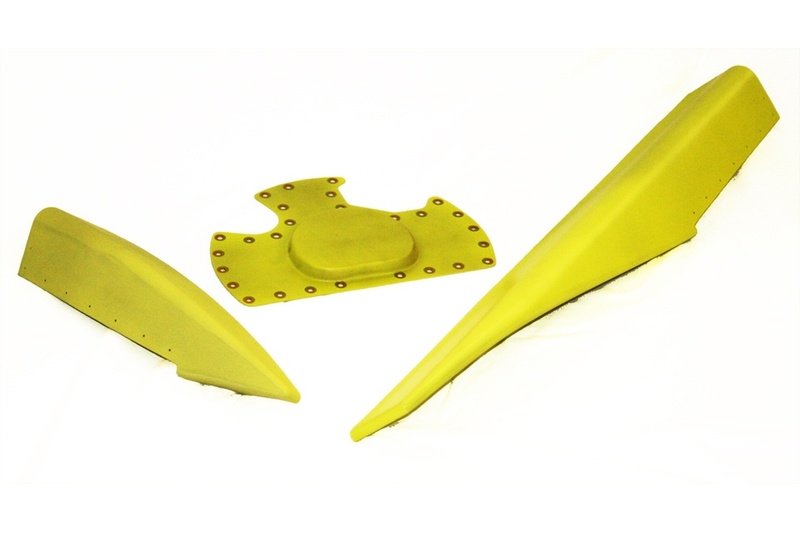 The forming surfaces are then hand ground or machined net, or a plastic face is applied to one or both of the male and female forming surfaces of the kirksite castings. With Drop Hammer bed sizes ranging from 24″ W x 30″ L to 48″ W x 96″ L we can manufacture almost any size and type of aluminum and steel drop hammer formed part. Various aluminum closeout corner caps. 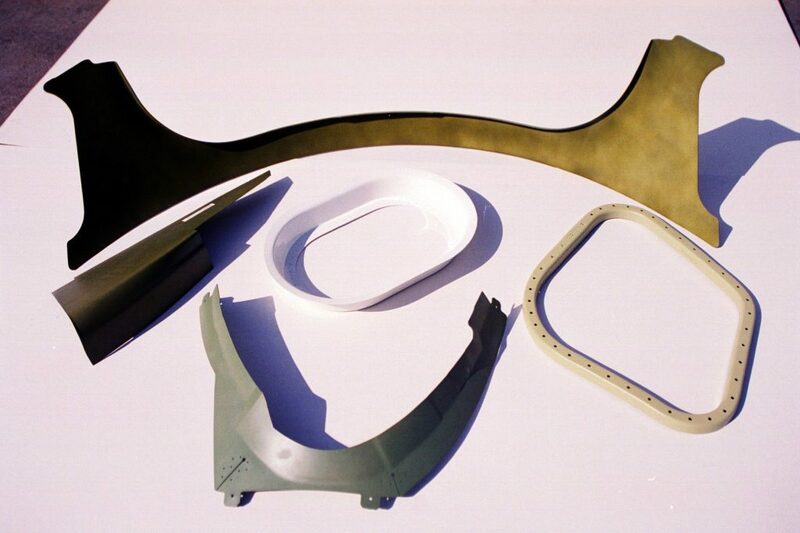 Thin gauge deep draw aluminum aileron fairing skin details for the Boeing MD80 and 717 commercial airliners. 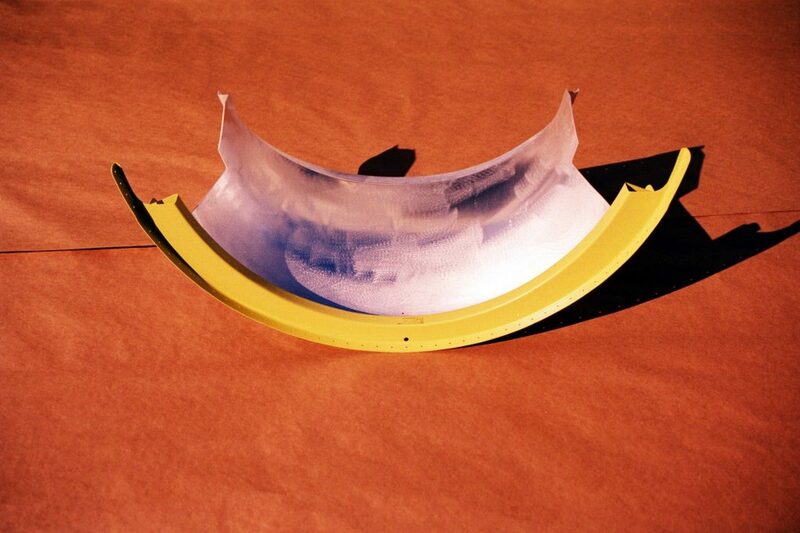 An aluminum structural hat section and its mating deflector skin for a thrust reverser used on a European commercial jet engine. Welded nose deep draw aluminum drop hammer formed thrust reverser fairing details for a Pratt & Whitney commercial jet engine. 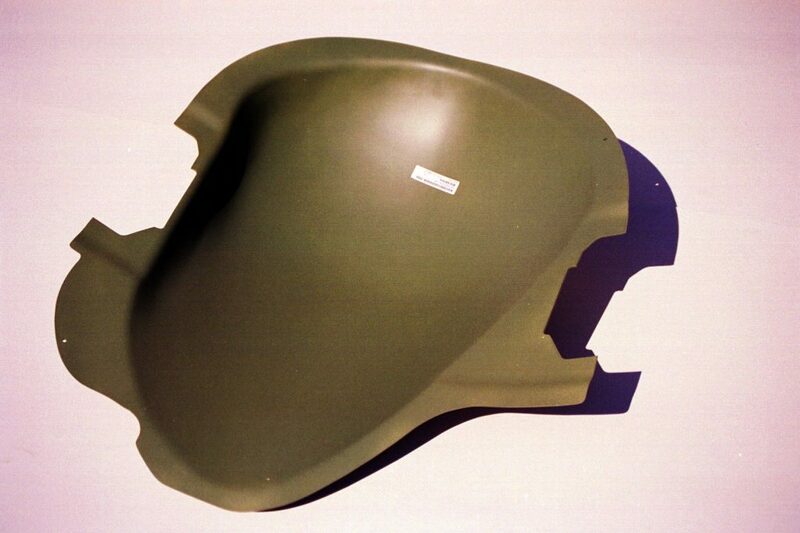 Heavy gauge aluminum transmission cover for the Boeing AWACS air reconnaissance aircraft.